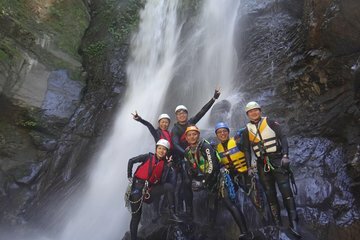 Outdoor enthusiasts will appreciate this canyoning adventure at Yi-Hsin Creek in northern Taiwan. With experienced guides, travel to a part of the canyon away from the tourists. During the day you will visit three waterfalls and rappel down vertical rock faces. There will also be time for swimming, relaxing, and enjoying the scenery. Lunch is included.